The Philadelphia Baseball Review released its Division-I College Player of the Week awards on Monday for the period ending March 31. 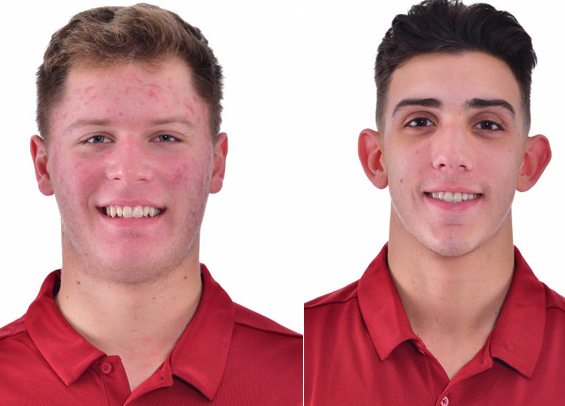 Saint Joseph's freshman designated hitter Andrew Cossetti was named the Philadelphia Baseball Review's Hitter of the Week, while teammate junior Jordan DiValerio has been named the Philadelphia Baseball Review's Pitcher of the Week. Cossetti hit .438 (7-for-16) over the week with eight RBIs, three homers, and four runs scored. The La Salle College High product is hitting .330 on the season with six homers and 26 RBIs. As for DiValerio, the right-hander tossed eight solid innings in a win over George Washington, surrendering two runs on six hits while not issuing a walk and striking out 10. The Hawks are off their best start in conference play in years, sitting 5-1 in the Atlantic 10 and a half-game out of the top spot. The Philadelphia Baseball Review names winners each Monday throughout the college season.